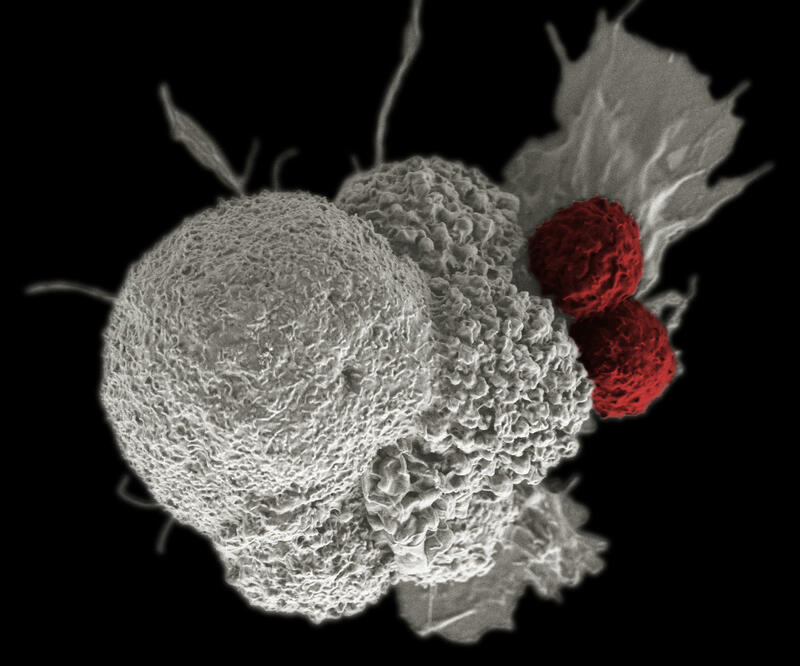 Scanning electron micrograph of an oral squamous cancer cell (white) being attacked by two cytotoxic T cells (red), part of a natural immune response. 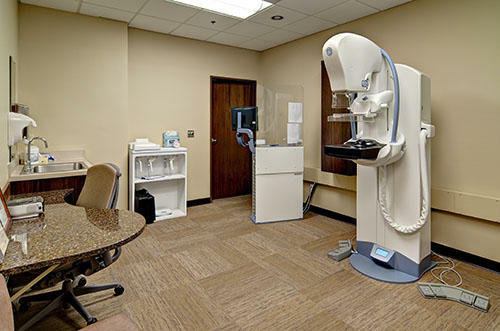 The second in our two-part series on Cancer in the Granite State. President Obama announced "a cancer moonshot" in his State of the Union address earlier this year, with increased funding for research and treatment in the hopes of accelerating the search for a cure. 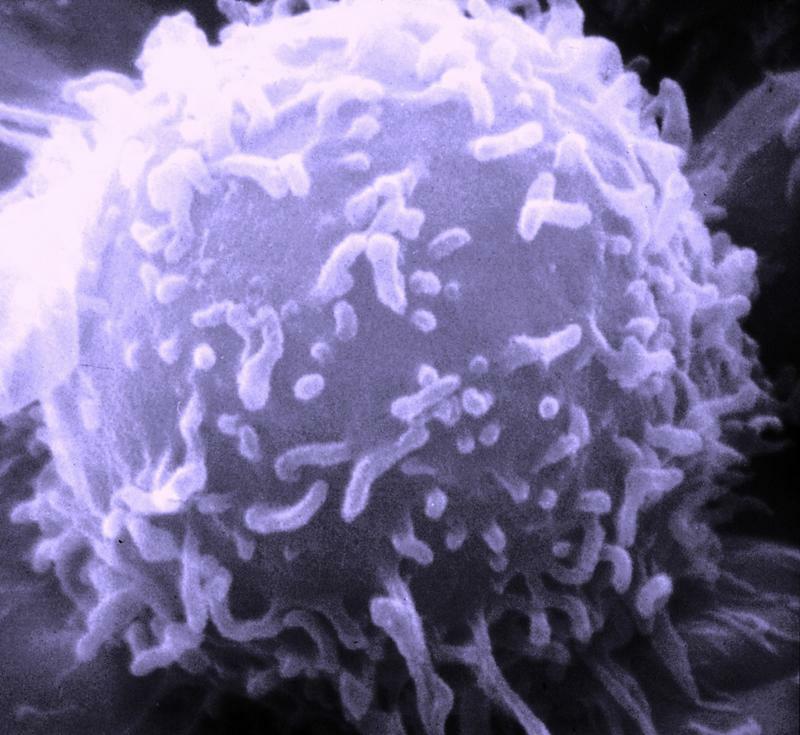 We look at advances in cancer treatment recently, including promising methods such as immunotherapy. We also examine the latest research and developments in the search for a cure. Plus, we delve into the financial and emotional stresses of dealing with the disease. Elisabeth Buchbinder, immunotherapy expert and melanoma specialist at the Dana-Farber Cancer Institute in Boston. Emma Dann, Nurse Director at Dana-Farber Cancer Institute in Boston. Steven Fiering, Professor of Microbiology, Immunology, and Genetics at Dartmouth College's Geisel School of Medicine. Yousuf Zafar, Medical Oncologist who treats patients with gastrointestinal cancer at Duke Cancer Institute. LINKS: The American Cancer Society has resources for those seeking information about cancer and cancer care and treatment.